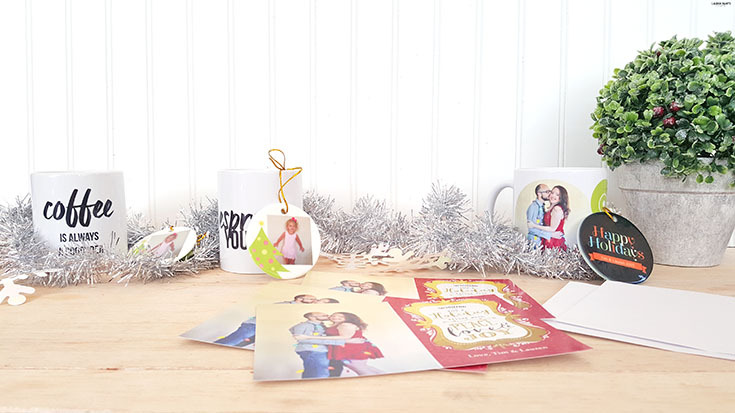 Make Things Easier with Staples Holiday Cards & Custom Photo Gifts! Christmas is almost here and I'm going to share a little secret, I'm just now sending my holiday cards out to my family! I'm a total procrastinator with most things in life, so it comes as no surprise to the recipients of these cards to see them rolling in last minute, but what my family isn't expecting is the super cute and unique card I was able to design quickly and easily with Staples! I'm totally in love with how our cards turned out! They are the most dreamy design we've sent out ever and I can't wait to share it, so I'm giving you guys a peek at it today! 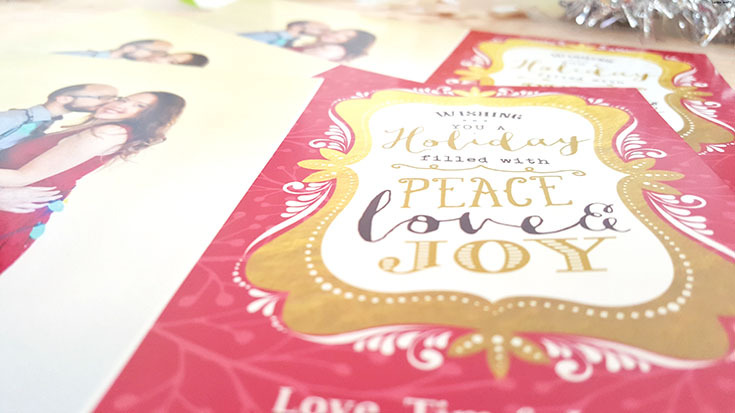 Staples Copy & Print made it so easy for me to make these cards, I literally grabbed a picture from our holiday photo shoot and added it into their template... and here's the end result! My cards were printed off within a day or two and when I walked in to our local Staples to pick up my order, the guy behind the counter recognized us from our photo and had our order waiting for us when we approached him! 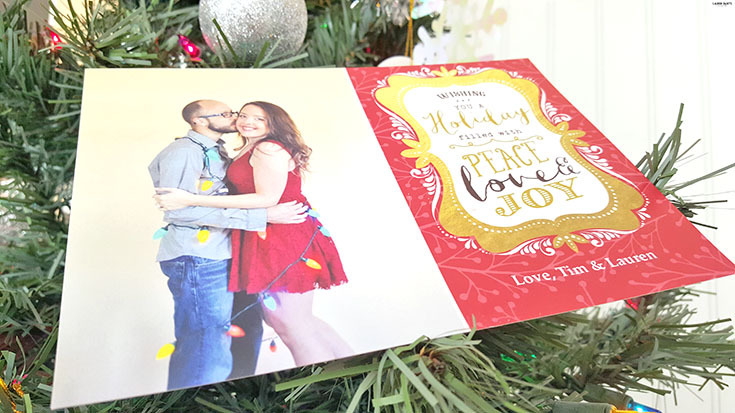 Our Christmas cards are on thick, high quality paper and they're bound to be a hit with our family. With a little bit of a love and a wish for peace - these cards are truly the sweetest! I'm excited to design our cards for next year, so maybe I won't procrastinate so much and they'll actually make it out on time... That's the goal anyways! 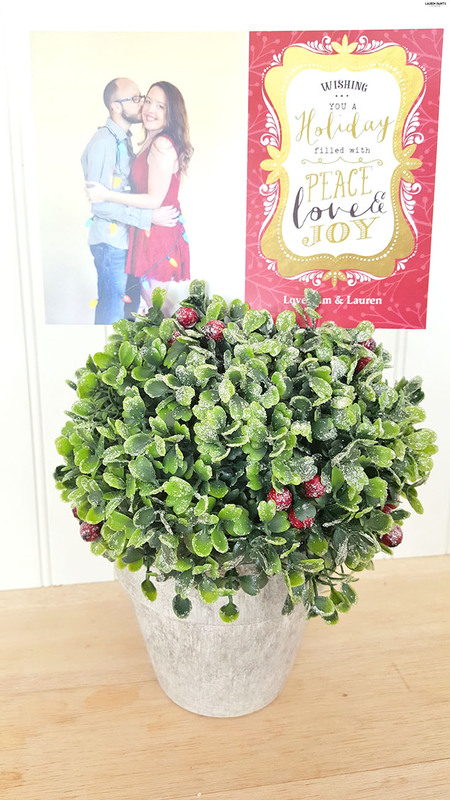 Are you looking for a last minute solution for Christmas cards as well? 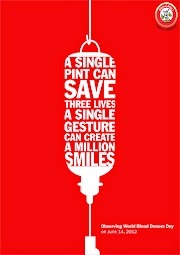 Maybe you want to send out a batch of New Years Eve cards or a holiday update to your nearest and dearest? 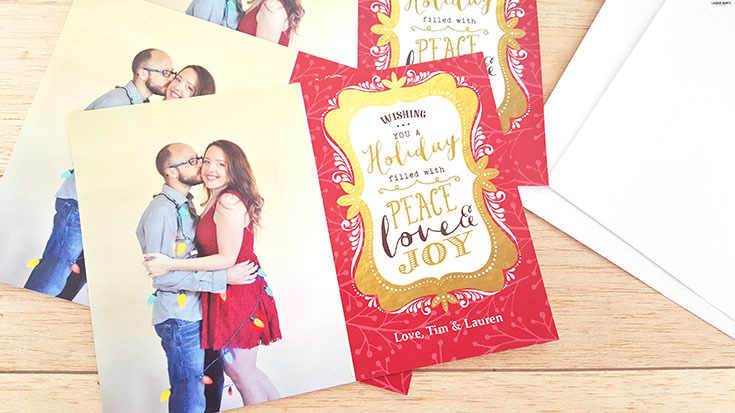 I've got some awesome news - you can save 20% off your order of holiday cards, invitations, calendars and more by using the code HOLIDAY20 by 12/26! While I'm obviously a huge fan of the cards I designed with Staples, I also ordered some personalized gifts... because well, I just can't help myself when I find out I can add pictures to everyday objects! 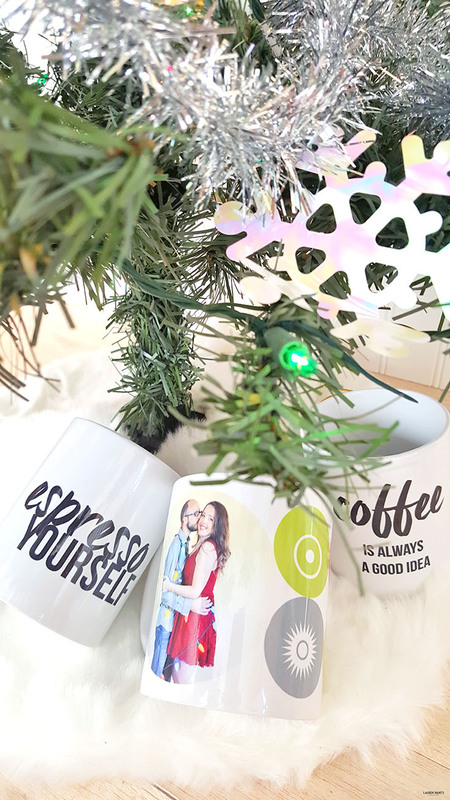 The first personalized gift I designed with Staples Copy & Print were these customized coffee mugs! I made these little cuties for some of our favorite coffee drinkers! I love the high quality, thick mugs that these are printed on and the quality of the images is superb. As my husband said when he saw these sitting on the counter after their arrival, "those could be sold in a boutique somewhere..." and I must say I totally agree with him! 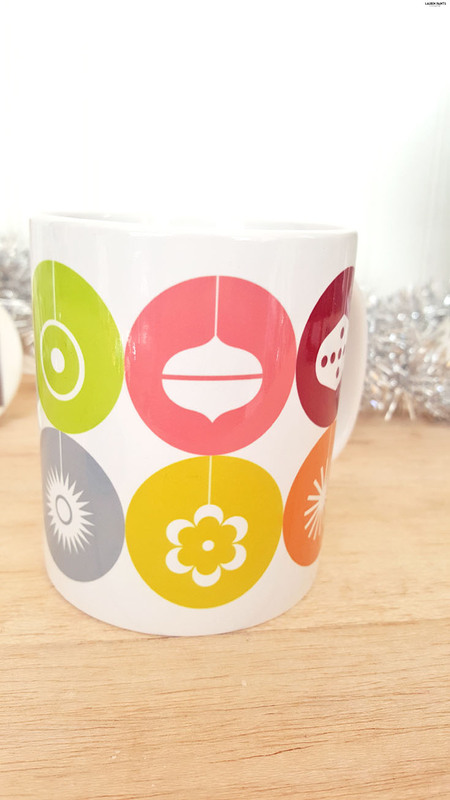 I'm so excited about these mugs and the adorable designs! 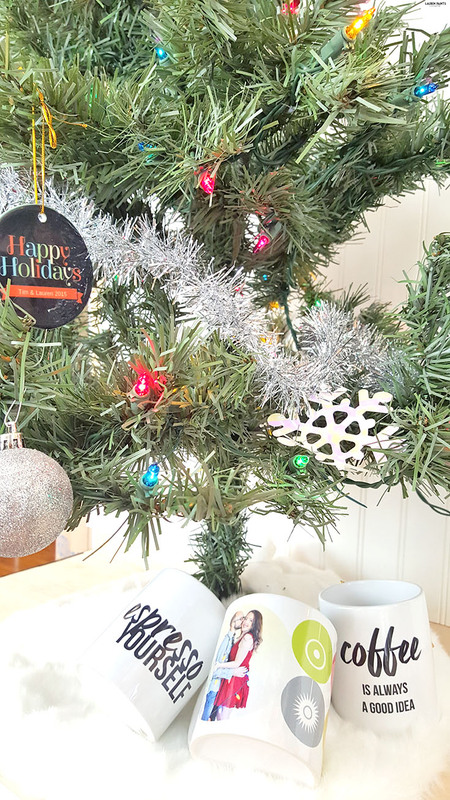 Plus I made an extra mug with my favorite holiday picture printed on it, because a girl has to reward herself with cute, picture covered items sometimes as well! 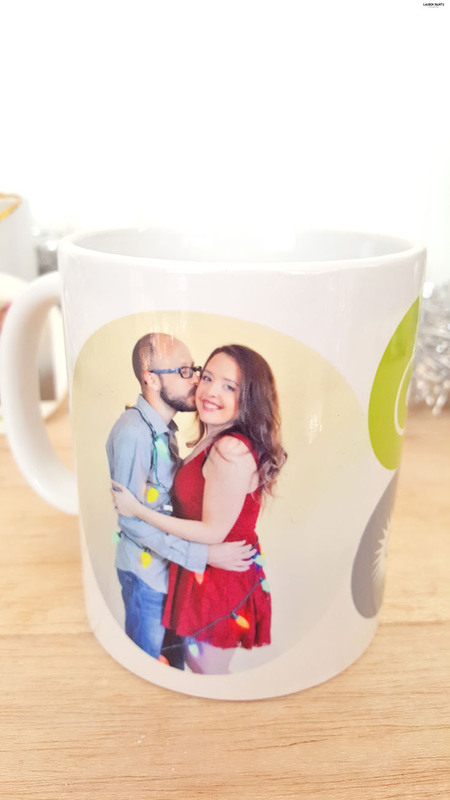 I love the template I used to make this mug, the print is so colorful and using the Staples Copy & Print system to insert my picture was effortless... that's why Staples Copy & Print is so awesome, it's so easy to use! 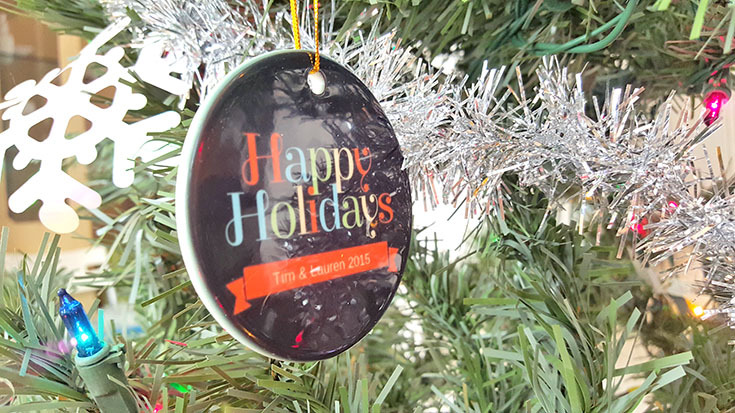 I guess it's obvious, I'm super excited about the mugs I made... but have I mentioned I'm also really excited about the adorable personalized ornaments I crafted up to help add some "spice" to the mugs! 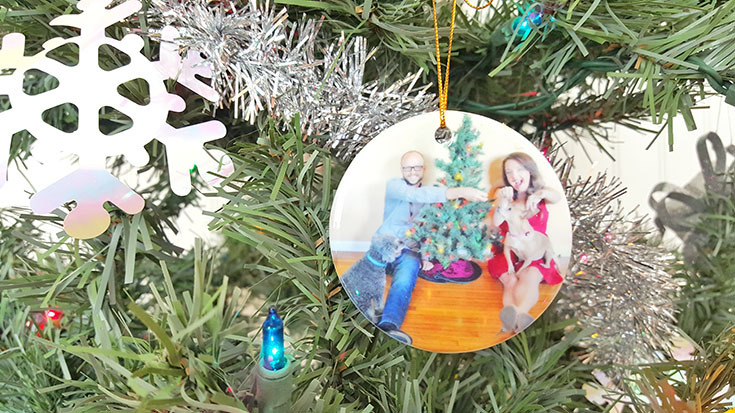 The Staples Copy & Print service did a great job with all of my custom photo gifts, but I really think the ornaments may be my favorite part of my entire order! They turned out so incredibly perfect, it's going to be hard to let them go... I think I may even order an additional set or two, actually! 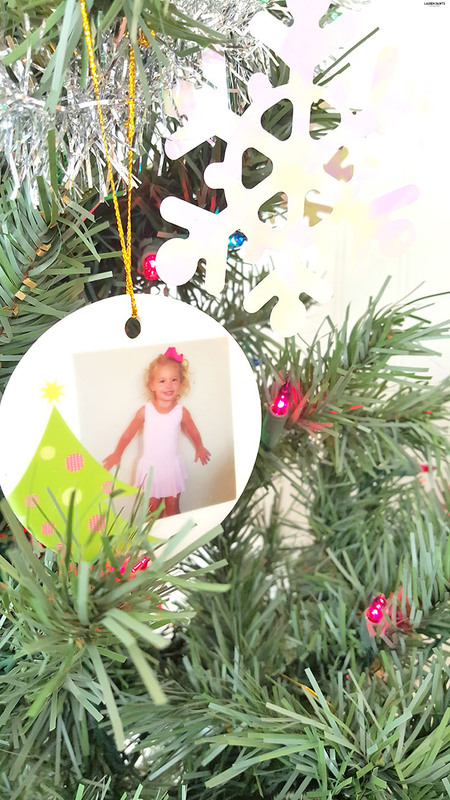 I think these ornaments are going to be like gold coins in my family, with a precious picture of my niece in her ballet outfit on a set of them... and of course, a picture of me and the hubs on the other - I can think of a few family members that would smile to see these waiting for them under the tree! 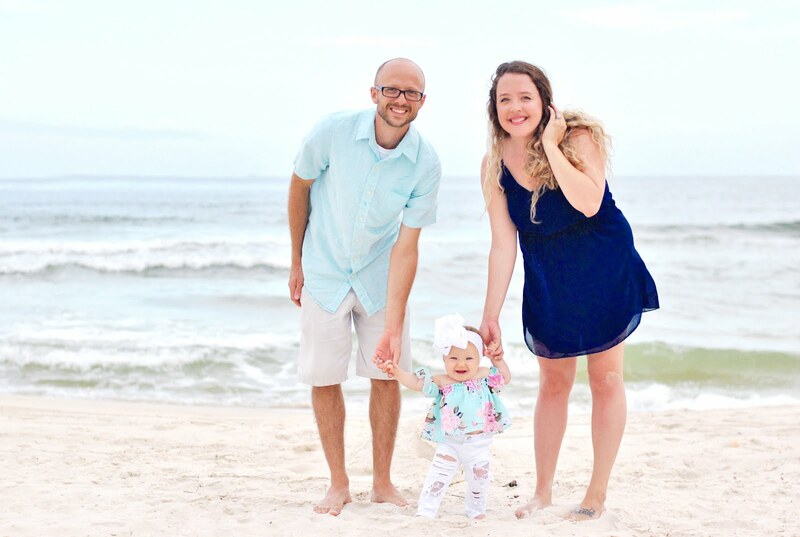 Are you wanting to make some custom photo gifts for your family? 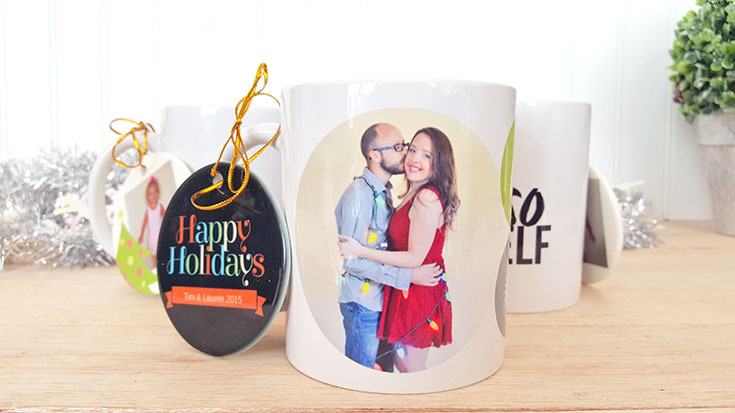 Stock up now while they're on sale, use the code JOLLY20 by 12/26 and you'll save 20% off your custom photo gifts order! 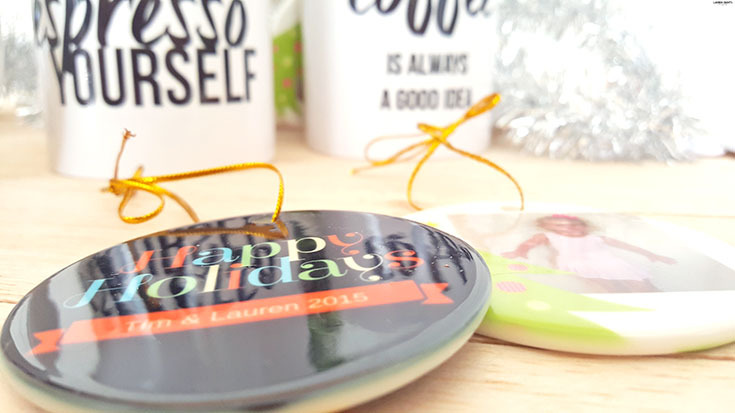 So now that I've shared my little procrastination secret and how I decided to creatively make some adorable gifts with Staples Copy & Print this year, I'd love to hear what you would make with their services? 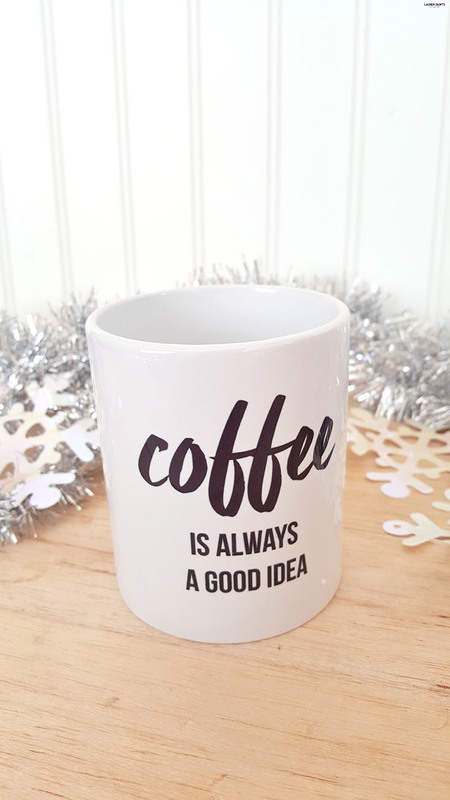 Are you wanting to stock up on coffee mugs with your dogs face printed on the side or maybe you want to add a few new personalized t-shirts to your collection? Head on over to Staples and tell me all about it!